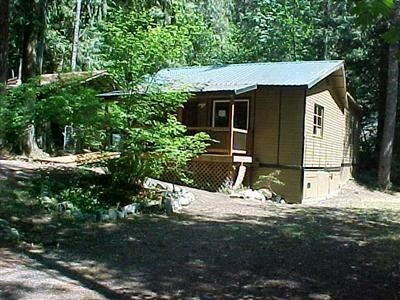 Fixer cabin in the woods one bedroom home with extra finished room. All new pec's plumbing under the home and new bath last year. Covered porch and shop. Feels very private. Just a stone throw from river access.